When is the last time you have been touched in such a way that causes your entire being to relax and let go. Do you remember the peaceful feeling you have after a really great massage? Your muscles feel freed up, the tension released and your movements are more fluid. Do you find that you walk away breathing easier, feeling lighter and more in line with your bodies natural rhythm? When we take the time to receive a massage and really restore ourselves, our daily lives become more easeful, more focused on what is important in our world. The energy it takes to hold tension and stress in our body is actually exhausting and depleting. The high demands in today’s lifestyle may be so great that it is difficult to slow down and take a deep breath. Decisions are rushed and often times there are unnecessary mistakes made causing more anxiety and stress. This will force us to operate in a panic mode, exhausting our nervous system. You aren’t alone, if you feel that stress has at times taken over your life, it happens to the best of us. In fact, if you're lying awake at night feeling angry, fearful or fatigued because of stress you're in the majority according to a nationwide report recently released by the American Psychological Association. 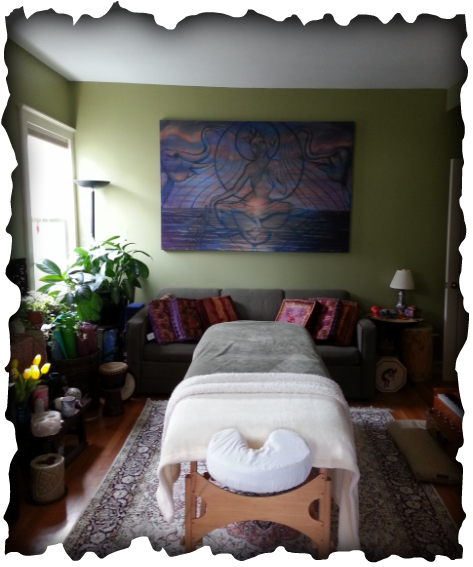 Massage therapy is a proven, non invasive way to reduce chronic stress levels in the body. US National Library of Medicine National Institutes of Health, study evaluating the effect of massage therapy on stress, anxiety and aggression in a young adults ... “There was a significant reduction in self-reported anxiety , resting heart rate and cortisol levels immediately following the massage therapy sessions. Significant improvements in hostility and depression scores." Professional therapeutic massage is not a cure-all for all stresses. But adding massage into your life can make a big difference in the way you feel and live day to day. There is an old saying, "an ounce of prevention is worth a pound of cure". Preventing stress related illness by being proactive in your choices for good health is what we all strive to do. Adding regular massage to your personal health care routine will provide restoration, but more importantly, it will reduce stress and give you more energy in your daily life. In these times with hectic schedules and multiple activities for families, it can be hard to find time to be fully presentand simply comfort our children and spouses. Children are stressed by being overly scheduled, having too much homework and after school activities. Both parents are often working and tired when they get home. Head and scalp massage is a technique that can be easily shared and only takes a few minutes to do. Even children can learn to massage their parents giving them a sense of interconnectedness and comfort. For thousands of years in India, families have shared the simple act of head and scalp massage with their children as a way of staying connected, bonding, and de-stressing together. Children by the age of six are taught scalp massage to share with other family members. This act supports a sense well being and healthy bonding within the family dynamic. Head and scalp massage can be carried out anywhere, which makes it ideal for families, and is done fully clothed, with the person seated so you can offer it anytime and anyplace. * What happens physiologically with head/scalp massage? * Why does it help relax the whole body creating an overall sense of well-being? The scalp and skin is a mecca of nerves with each hair follicle being wrapped with a nerve ending. With more than 70% of our nervous system located in our head, head and scalp massage becomes an important factor in activating the neural pathways to the brain. At the base of hair follicles are sensory nerve fibers that wrap around each hair bulb. Bending the hair stimulates the nerve endings allowing a person to feel that the hair has been moved. One of the main functions of hair is to act as a sensitive touch receptor. Sebaceous glands are also associated with each hair follicle that produce an oily secretion to help condition the hair and surrounding skin. Gentle but firm massaging of the hair/scalp causes a release of tension in the micro muscles surrounding each hair follicle. This can restore pliability to the scalp and trigger the biological 'relaxation' response in your entire body. Engaging the *parasympathetic nervous system allows for ‘rest and digest’ response to occur more easily. The relaxation response lowers blood pressure, reduces the heart rate, calms the respiration and neutralizes stress chemicals. It also directly counteracts the instinctive 'fight or flight' response rendering the recipient into a quieted, peaceful, more relaxed state, a perfect antidote to the busyness of family’s daily lives. * Here are a few guide lines for a simple head & scalp massage. This can last from just a few minutes up to 20 minutes. Before beginning the massage, keep in mind that the person who is receiving the massage should be seated or lying down comfortably. And you (the giver) should be also be comfortable and breathing with consciousness and depth. You should position yourself such that you can easily move your fingers around the person’s head. Begin by taking a few breaths together, synchronizing your energy and encouraging a state of relaxation by your example. 1. Gently run your fingertips in a circular motion along the scalp from the forehead to the back of the head. Gently scratch the nape of the neck in a circular motion. Then run your fingertips from the back of the head to the top of the head, gentling scratching as you move along. Repeat this movement a few times. 2. Brace your thumbs near the back of the head. Rotate your fingertips in small circles on the scalp along the sides of the head for a few moments. Repeat a few times. 2a. Take a moment to check in with your receiver, asking if the pressure feels comfortable or if they would like more or less pressure. Also check in with your own body posture, staying both present and comfortable in your own body and breath. 3. Brace your thumbs on the sides of the head. Rotate your fingertips in small circles on the top of the head and scalp. Repeat a few times. 4. Massage the hairline, using fingertips or thumbs, around the ears and across the back of the neck. Repeat a few times. 5. Take a few minutes to massage over the entire head and shoulders using a squeezing motion as if your were working with massaging clay. 6. At the end of this mini session, cradle the head in your hands breathing gently and offering a moment of stillness and peace together. Remember, these are just guidelines to practice with, as you get more comfortable you can add your own style and even use oil for dry hair if you feel inspired. These simple techniques are sure to support your children's healthy sense and touch as well as encourage relaxation and peace together as a family.